This time of year is all about a fresh start. We are only hours away from Yom Kippur. We are given the day of atonement as a gift. And most importantly, to ask for forgiveness. Because G-d knows that we are all good in our essence. And we will make mistakes. If we learn from them they are not mistakes. Cleansing our soul spiritually gives our body the energy to move forward. I need to close up the old. I also did this little number. If you want the pattern e-mail me. If you can knit with big bulky needles! And then I finally finished both of these just in time for fall. Dassa and Yaffa, here they come! I loved making these sweaters. At least 60 hours on each one. It's been a year since I began this blog. I am not a 'fancy' scrapbooker. I do complex layouts once in a while. When I'm inspired to be artsy. But mostly I like to 'get the job done'. Because I am the memory keeper here in my space. I am not around to see many of these clips in the days in of grandchildren's lives. But I feel them as much as I able. I study each picture sent to me over and over again. and then I put it down on pretty paper. and that is why I need a craft room! I want to make my little girls bows for the upcoming holidays. Making a few is never an option. Can't wait to send them to my 'Big' girl. She loves when I make stuff for her kids. And I love to be appreciated. My coffee table in the kitchen covered with another project yet to be revealed. Busy week coming our way. There will be lots of cooking and baking going on here. I am so looking forward to eating yummy food. My Favorite Blog today is KIM WATSON. Her post today shows you how to show appreciation to a teacher you love. I am not a fan of most schools and most teachers. (Gasp) did I just say that?!? I think the system of schools in general is a good idea. When a school runs well there is nothing more valuable to a child's growth. YOUR child is the sacrifice. I would say this is as serious as incompetent doctors. Who get sued all the time for malpractice. I say we institute the same insurance to protect ourselves against some teachers. This girl is a fantastic scrapbooker. You will get lots of great ideas from her. I found these two layouts done 6 years ago. They are simple in design. I would like to see a little more creativity in my work. But I am thrilled to have recorded this. My mind floods with little slingshots of memories. They represent time in a way that nothing else does. Keep all the pictures even if your child doesn't like them. I hope you will learn the difference between right and wrong. I hope you will learn to be strong enough to tell your friends "no" when you need to. You won't always make the right choices but that's part of life and growing up. and will eventually become a leader in your class. Influencing others to do positive things instead of negative. You are so smart, sweet little girl. I am so proud of you and can't wait to see how you continue to grow. Today is a great day for you 'wanna b' scrappers. Today you can actually become a keeper of memories. Today I will show you that anyone can do it. You can actually start right now. By clicking on MY FAVORITE BLOG! to easily and beautifully start saving up precious moments never to be seen and felt again. She has accomplished something no one else in her field has done. 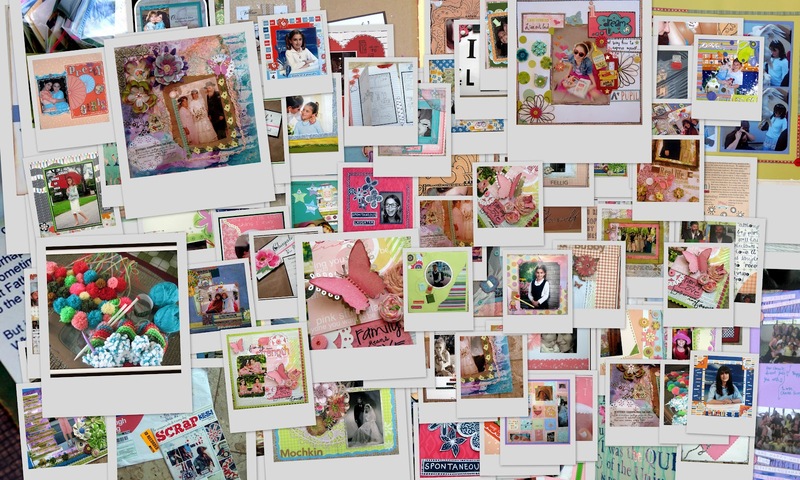 By bringing scrapbooking to the 'little people'! Take some time and read all about it. You will want the product immediately. It can really change how you see the world. So here we are...Project Life. drop me a line to thank me! "mommy, can you call my teacher and ask her if school could start a few days early"! There's nothing cuter than school photos. like a fast forward video.